It is possible to seek modifying conditions of supervised release in both state and federal courts. There must be a valid reason – and not simply you did not like the sentence. A reason can be as simple as a judge ordered a person to serve 3 months in a half-way house prior to being released from incarceration. However, the person is moved to the half way house 3 months earlier than expected. If the date of release remained the same, then the person would have served 6 months in a half way house, which was not the judge’s sentence. A federal and state judge can modify a sentence when a proper motion is filed and presented to the court with attorneys making oral arguments as to why the modifying of conditions of supervised release should be granted. Common problems that might require a modifying of conditions of supervised release would be the need for the defendant to move to another state, travel abroad or get a modification in a payment plan. A court can also modify the conditions of pretrial release to allow the defendant to be released from the court’s supervision earlier than previously ordered. This type of relief may be merited by changes in circumstances, excellent behavior while on supervised release or health issues. There are times when life changes make previous commitments impossible to honor or unforeseen circumstances make it desirable to modify conditions of supervised release. It is extremely important to understand that only a judge can modify the terms and conditions of pretrial release. If your circumstances have changed and your ability to abide by a condition of pretrial release becomes complicated, you must be proactive in seeking a modification before there is a violation. The attorneys at LEWIS & DICKSTEIN, P.L.L.C. have seen many people standing before judges trying to explain why they took an action without seeking permission first and this situation usually ends poorly. The action of modifying a condition of supervised release should be done by an attorney who understands the law and the various rules that authorize a judge to make the modification. The attorneys at LEWIS & DICKSTEIN, P.L.L.C. are well versed in this area. The firm’s attorneys have decades of experience in seeking modifications in conditions of supervised release and probation. The attorneys are well respected by state prosecutors, Assistant United States Attorneys and judges. 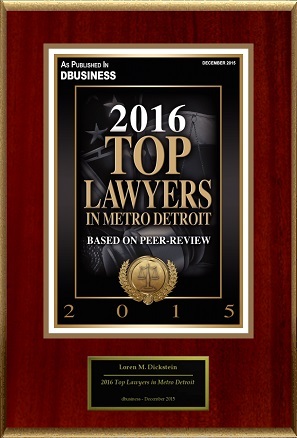 When an attorney from LEWIS & DICKSTEIN, P.L.L.C. walks into a courtroom the judge’s know that the lawyer will be well prepared, well thought out, and the that he or she will do whatever is necessary to obtain the best possible result for the client. 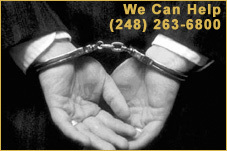 If you need help for any criminal issue, including modifying conditions of supervised release, contact the law firm of LEWIS & DICKSTEIN, P.L.L.C. at (248) 263-6800 or complete a Request for Assistance Form and one of our first rate attorneys will promptly contact you.